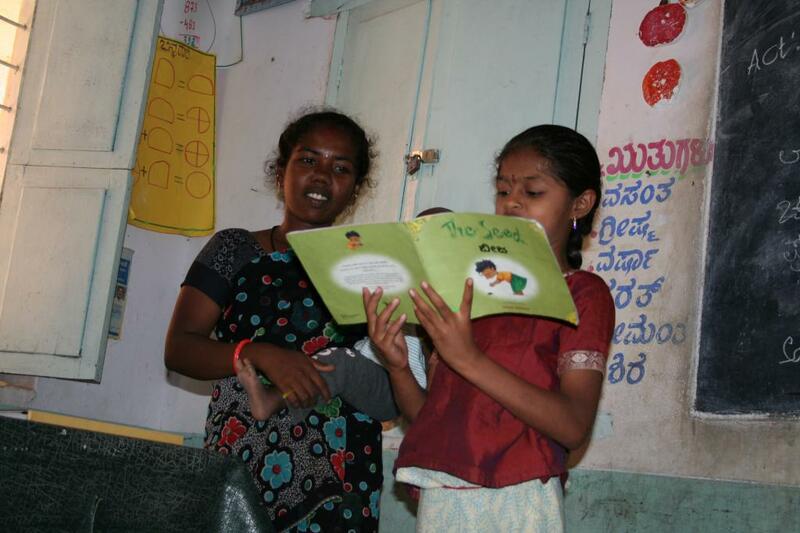 The Library Programme at Akshara Foundation has been running for more than 6 years. Over this period, we have introduced Libraries into each of the 1420 Government Primary Schools of Bangalore Urban District. The Libraries were set up in a “hub-and-spoke” fashion, with larger schools (the hubs) providing the physical space to set up and hold the Library assets and smaller schools (spokes) being served by a Librarian operating from the Hub schools. About 365 hubs were set up and the rest were attached to one of these as spoke libraries. About 625,000 colourful books have been bought and provisioned in these Libraries. Randomized Research on the impact of these Libraries. The research method was designed by Prof Leigh Linden and his students, then at Columbia University, New York. They have recently published a Working Paper with the National Bureau of Economic Research, Cambridge, MA, USA. (School Libraries and Language Skills in Indian Primary Schools: A Randomized Evaluation of the Akshara Library Program, Evan Borkum, Fang He, and Leigh L. Linden, NBER Working Paper No. 18183, June 2012, JEL No. I21, I28,O15). The Working Paper describes the research methodology of selecting Treatment and Control School Libraries ( approx 200 schools each) and the results of the baseline test conducted at these school libraries before the commencement of the library service. It also describes the metrics that were routinely tracked during the course of the research and the design of the post-test. that the program had little impact on students’ scores on a language test. (there is) no impact on test scores in other subjects or on school attendance rates. (that) the consistency of the results suggests a problem with the treatment itself rather a mismatch between the program and the needs of particular students and schools. While the inferences from the research are sobering and thought-provoking for organizations such as Akshara that attempt an operation on this scale, and for donors and government departments, there are several benefits that we have realized over the course of the project which, while not part of the research itself, represent undeniable gains the process of improving the performance of public schools. Awareness about Libraries and systemic change in public schools. All school staff averred that the Akshara Libraries were very helpful, in many cases admitting that their own efforts in this direction had been flawed. In all schools, a “Weekly Library Period” was fairly easily inserted into an already busy weekly schedule. Creation of simple, (cost)effective and scalable processes for the setting up and running of school libraries. Techniques for Content Selection and Grading, Creative Activities in Libraries, in-Library Assessments of children and reporting have been verified to work over multiple academic terms and are available from Akshara at no cost. Innovative methods of combining ICT with Reading. Specific activities have been created that link educational software packages with book titles in the libraries. A part of this was the innovative use of the Linux operating system to repeatably and quickly install software at each location, in many cases reviving defunct computing hardware that had been lying in schools. The programme also became a participation method for the CSR functions of the corporate world. 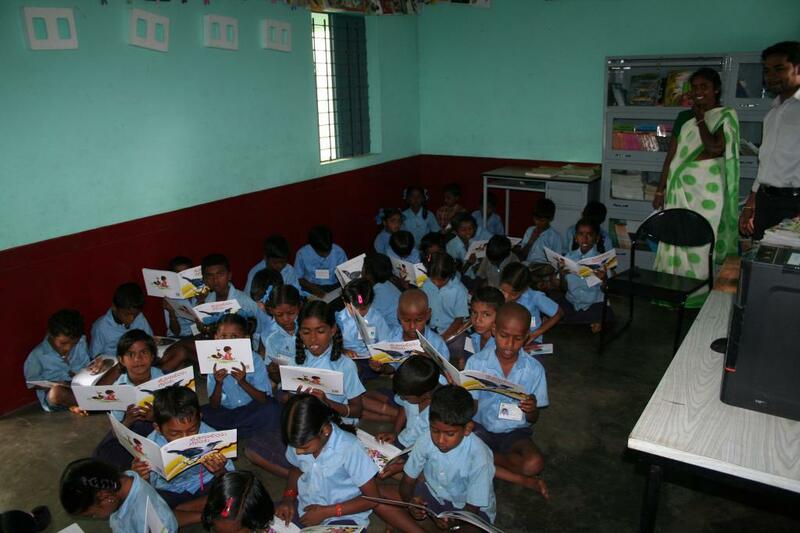 Many large Companies situated in Bangalore routinely volunteer at the school Libraries, helping to bring visibility, attention and accountability into these schools. Many school Heads request for more volunteering from Akshara’s friends as they grapple with changes in curriculum ( English teaching for example) and realize the benefits of technology in teaching. Finally, the programme has had an immense, but quiet, social impact: we have trained over 700 young women in the art of running Libraries. In almost all cases, the women we employ report that they have gained respect, stature and voice in their families. They are able to decide on where their own children would study for example. Many speak of ensuring that their daughters shall continue with studies and of saving money from their salaries to ensure this.